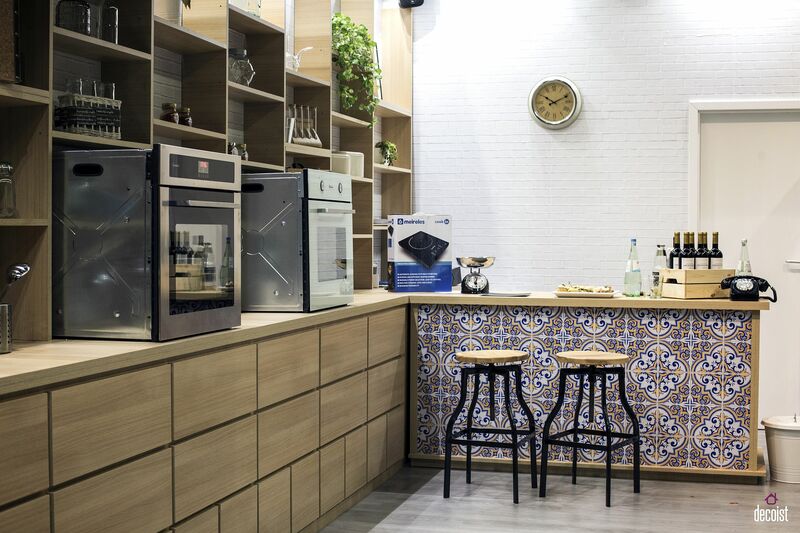 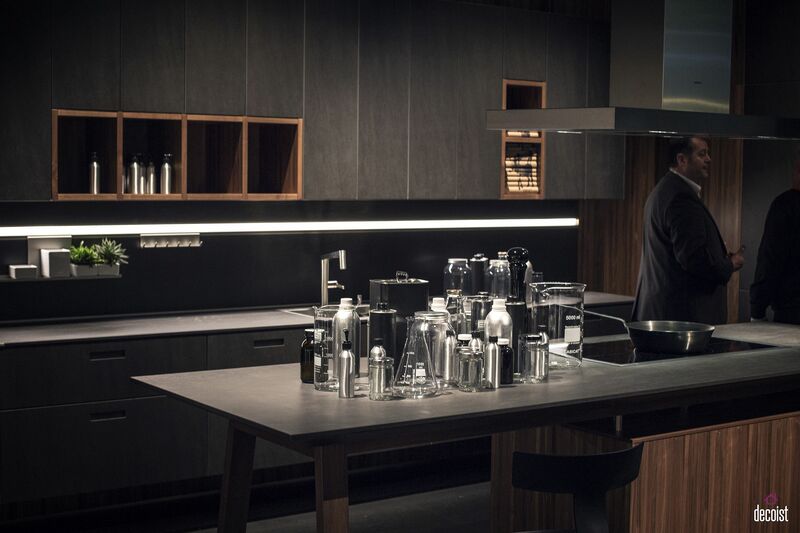 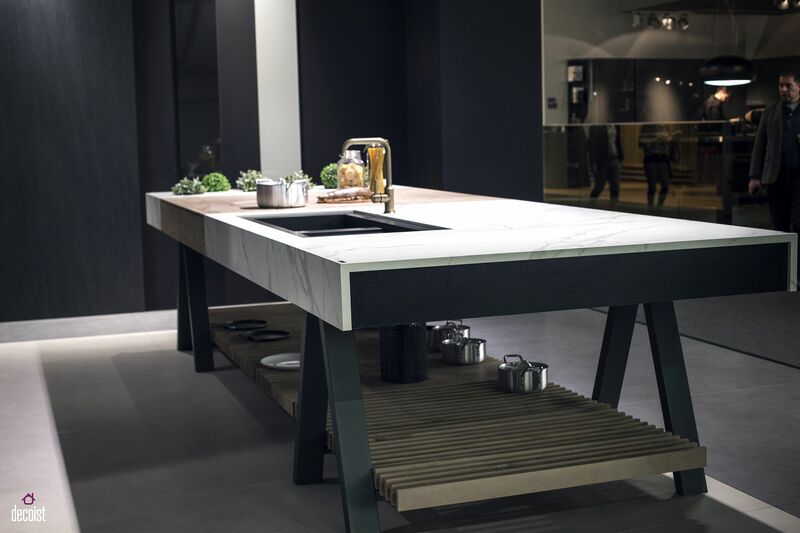 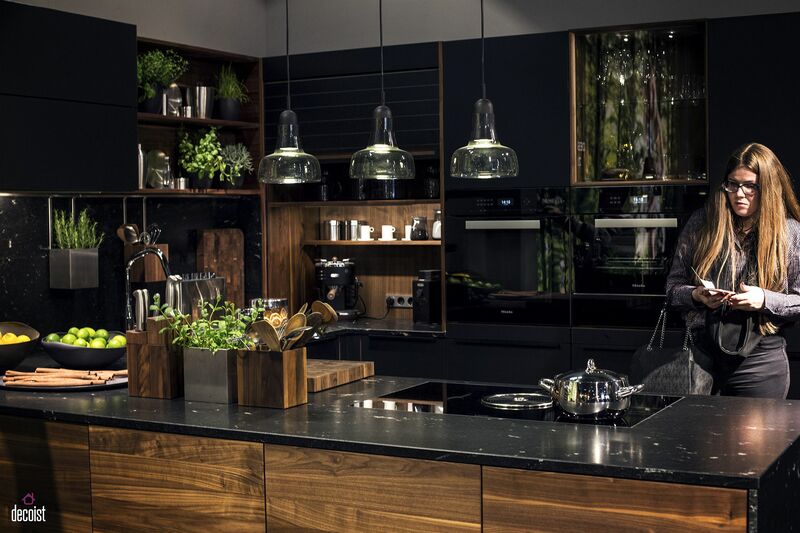 Modern kitchens are much more than just places where you just cook. 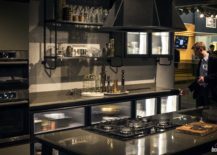 They are increasingly becoming smart, functional and stylish social settings where the entire family can come together after long, hard day. 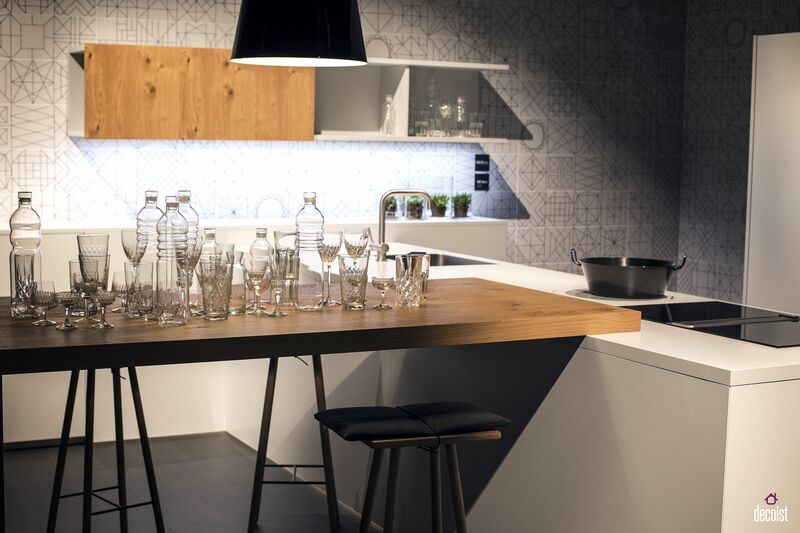 Combine it with a smart dining area and you have the perfect space to host parties over the weekends and through the Holiday Season. 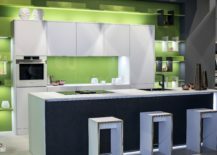 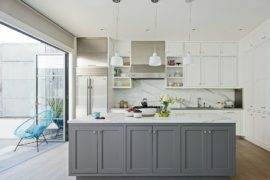 This is precisely why your kitchen needs to be as aesthetic as it is functional and open kitchen shelves make a big difference in this regard. 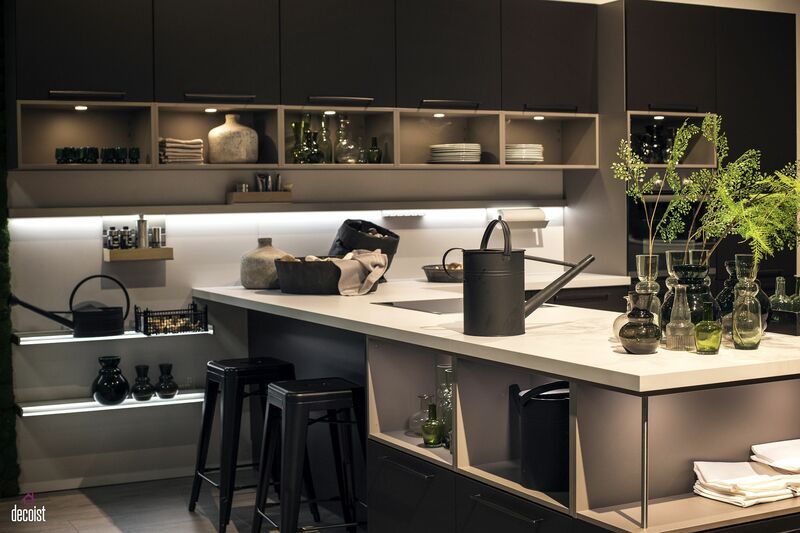 Open kitchen shelving gives you ample storage space even while turning it into a chic and elegant display without trying too hard. 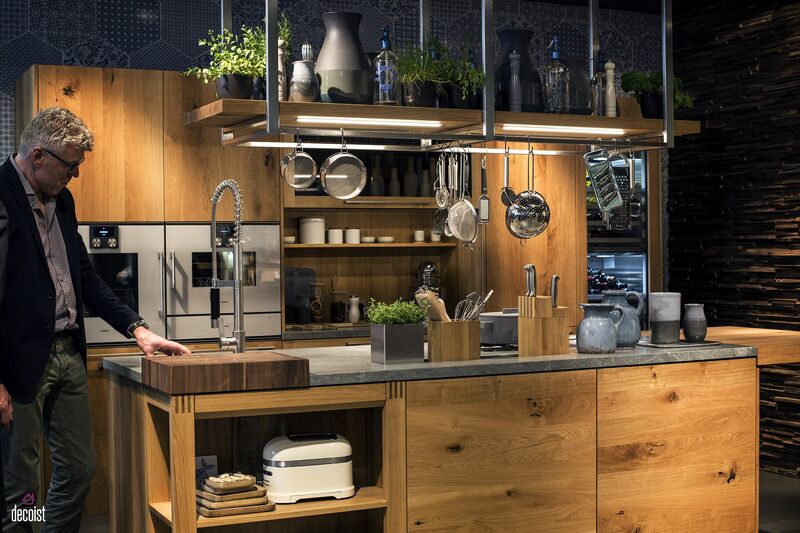 The idea that open kitchen shelves are not for everyone is a bit far-fetched. 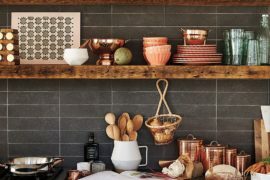 Even if you are not the most organized person around, there are plenty of easy way in which you can decorate the open kitchen shelf without creating a clutter. 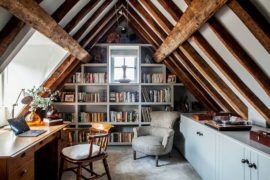 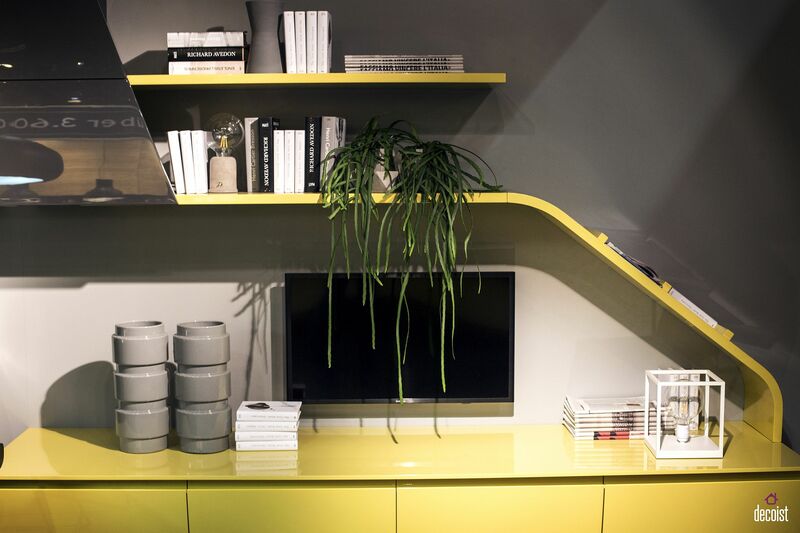 All it needs is a bit of planning, the right style of open shelving and of course, a dash of inspiration. 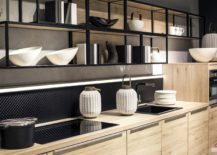 We are here today to offer you all the inspiration you need along with the 40 coolest open shelving ideas that we believe will hold sway in the year ahead. 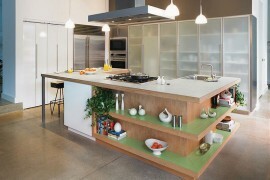 Open shelving is as much about the overall kitchen aesthetics as it is about practicality and a sense of spaciousness. This year, consider adding a bit of color to your kitchen with open shelves that go beyond the mundane. 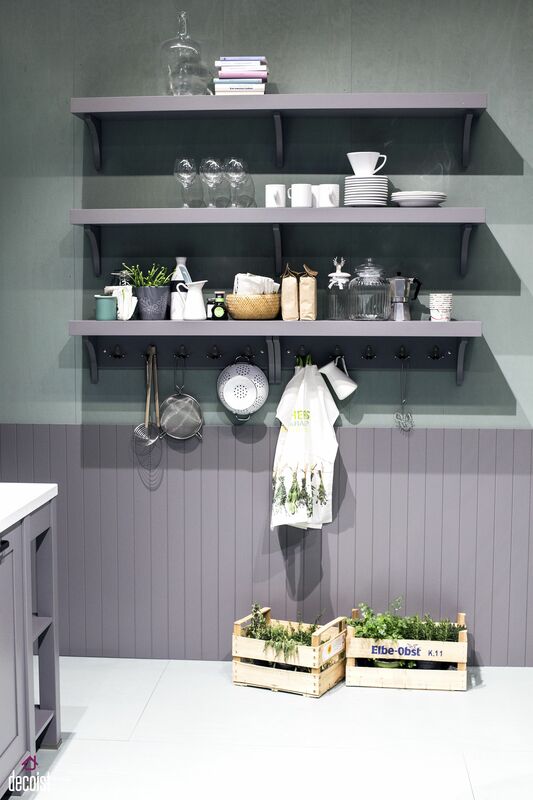 Colorful and sleek open shelving looks as much at home in contemporary, minimal and modern kitchens as it does in retro and shabby chic spaces. 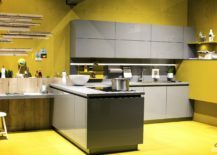 Since the rest of your kitchen is likely to be largely neutral in hue, open colorful open shelves in mellow yellow, bright orange or even cool blue can make a big difference to the ambiance. 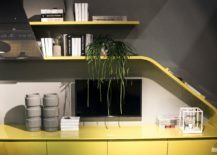 If the shelves themselves are not colorful, then take a different approach and turn to a colorful backdrop coupled with dashing floating shelves in gray or white. 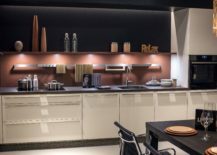 And for those really adventurous, there is the option of combining those fabulous, brightly colored floating shelves with ones in neutral tones to complement the color scheme ad style of your kitchen. 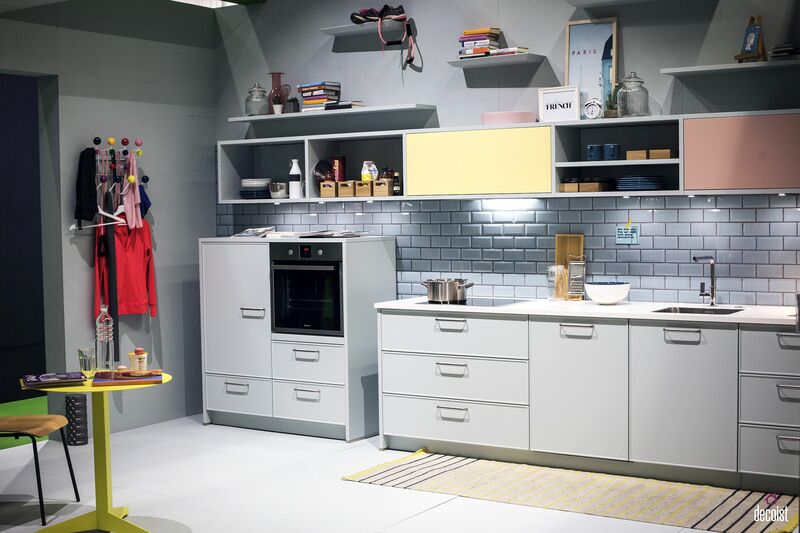 Get creative and the options are endless! 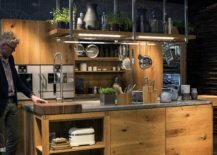 If you have heard us harp endlessly about how essential lighting is in any room of you home, then let us reiterate this by saying that it is twice as important in the kitchen. 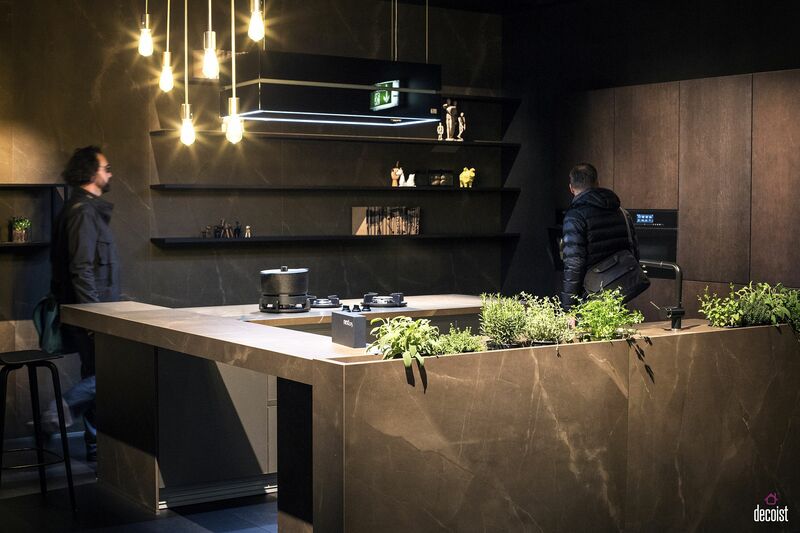 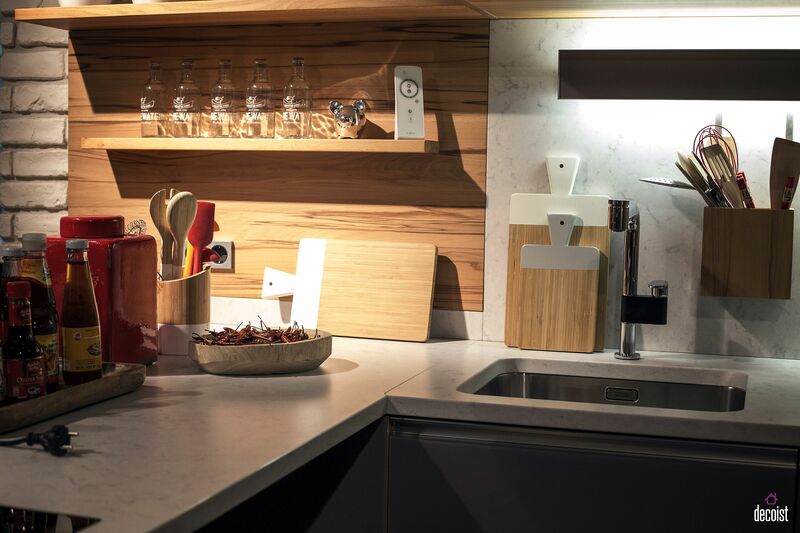 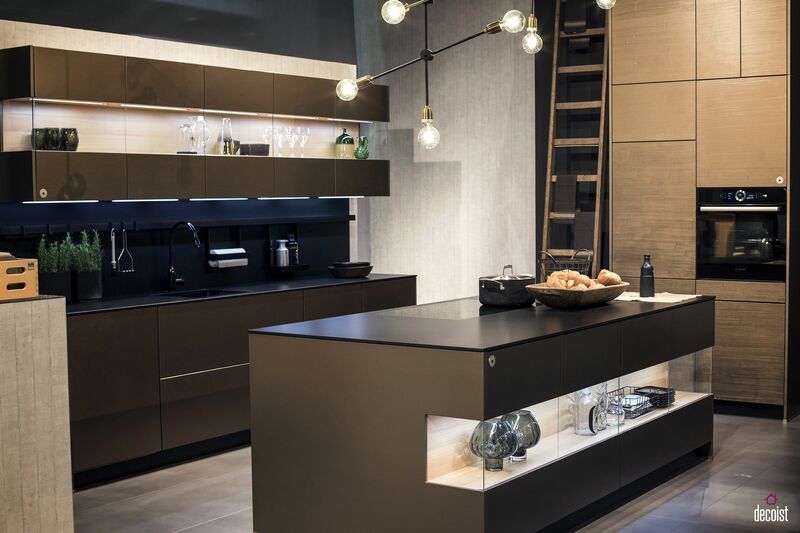 Combining aesthetic elements with task lighting is essential for the perfect kitchen and open shelves with beautiful LED lighting or cleverly placed recessed lights add to this ‘picture-perfect’ look. 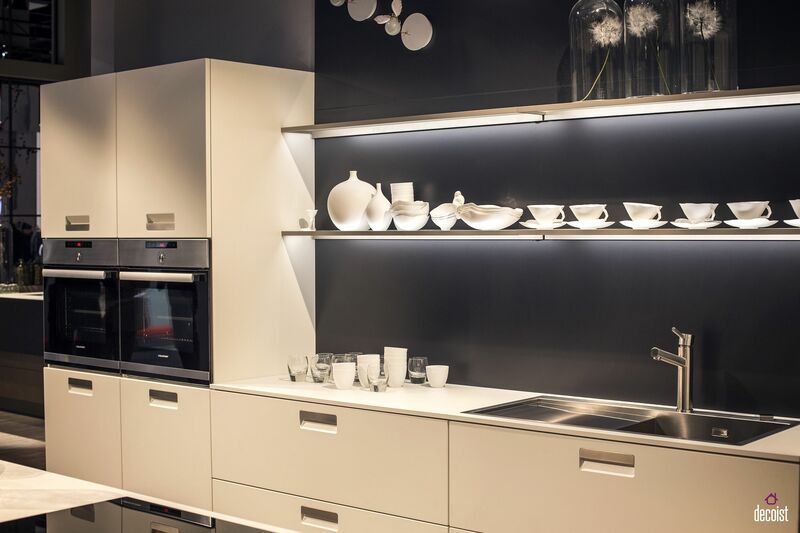 Trendy modern options like LED strip lighting have made open shelving into a more attractive proposition in the last few years. 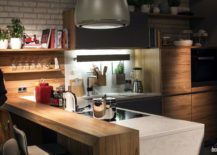 Not only do they give the kitchen, a refined, curated vibe, but also turn even the smallest niche above the kitchen counter into cool shelf space. 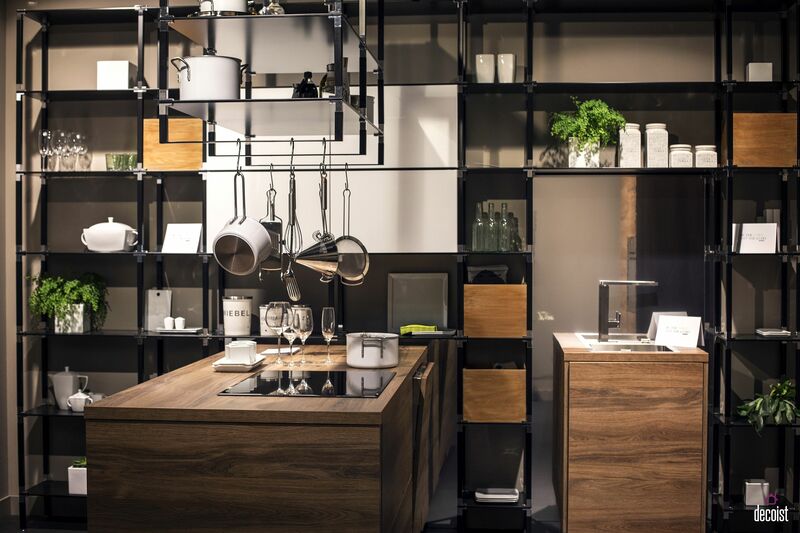 When we talk about kitchen shelving, it is undoubtedly space that inevitably defines what you can or cannot do. 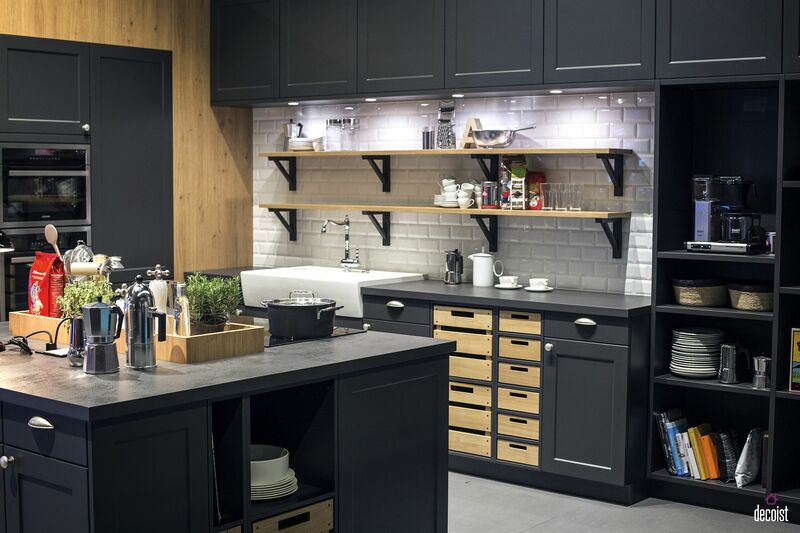 Open kitchen shelves give you the perfect opportunity to maximize display and storage area in your kitchen without having to waste precious square footage. 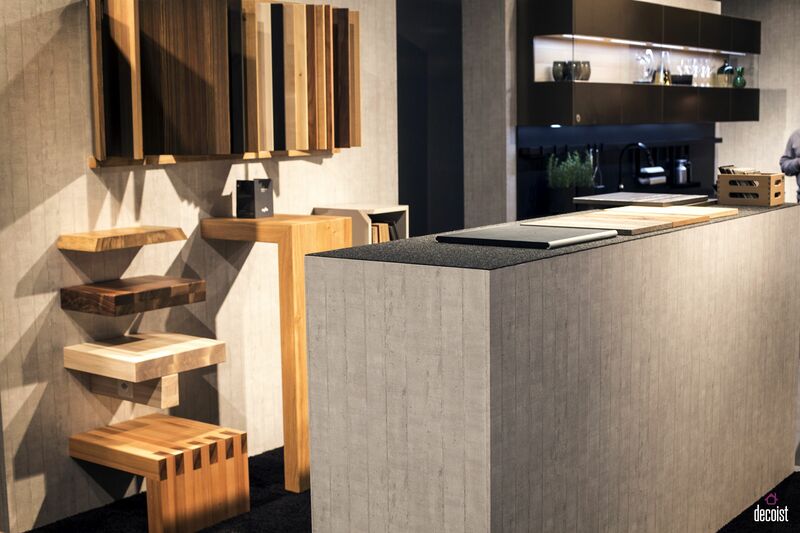 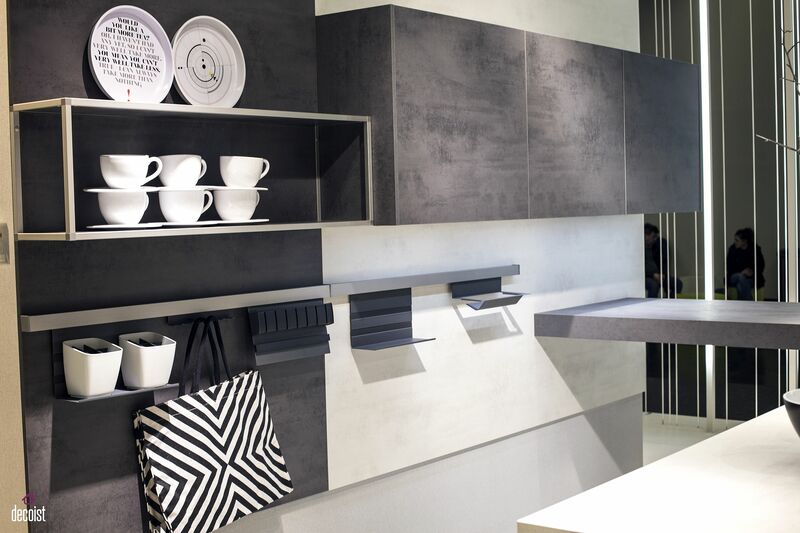 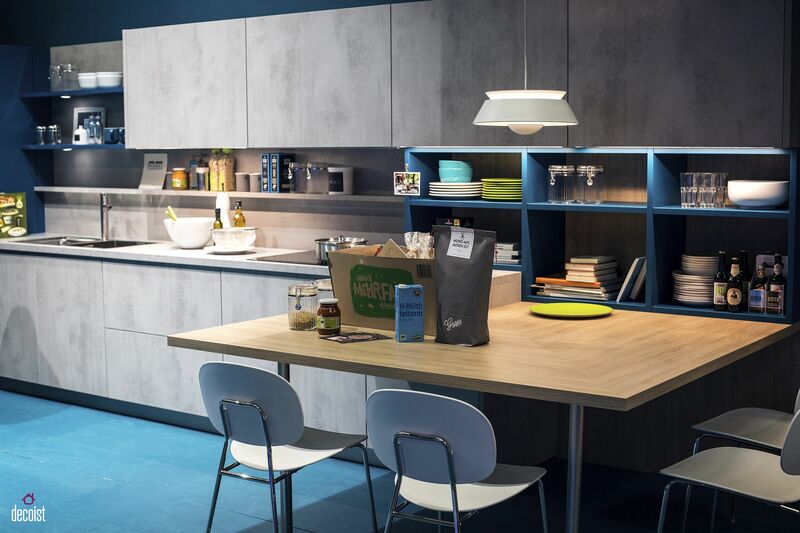 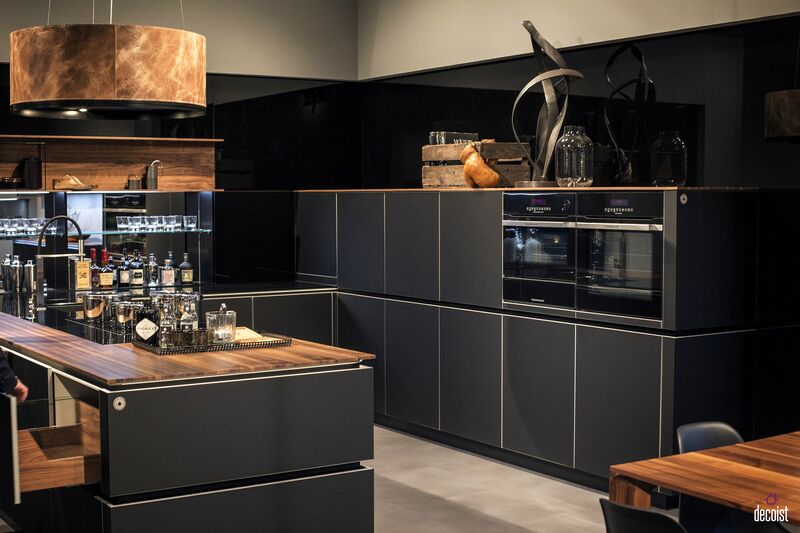 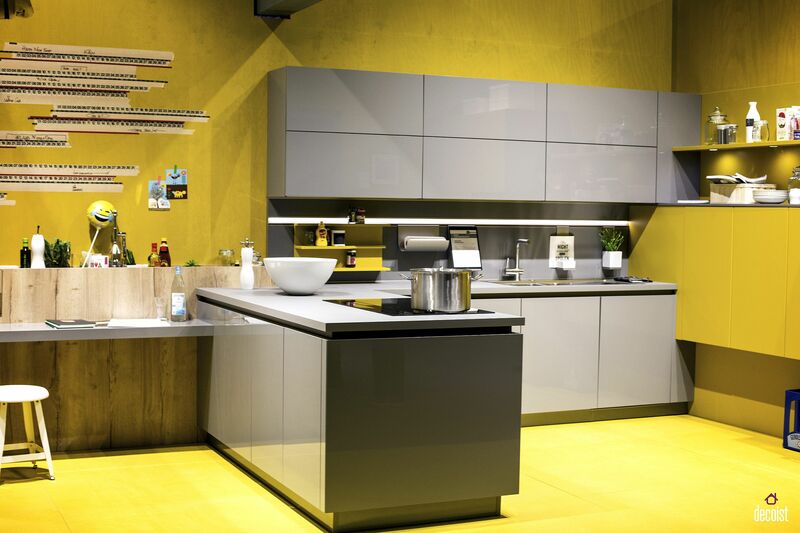 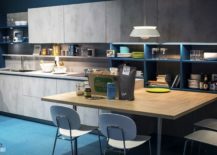 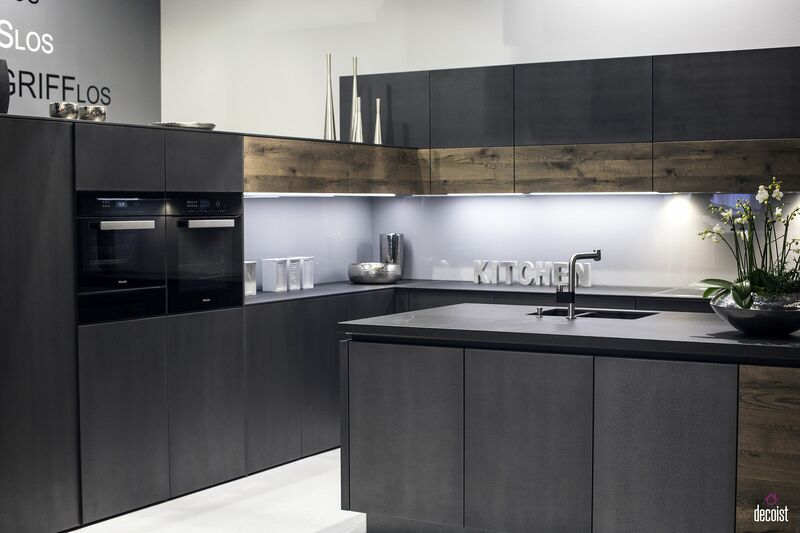 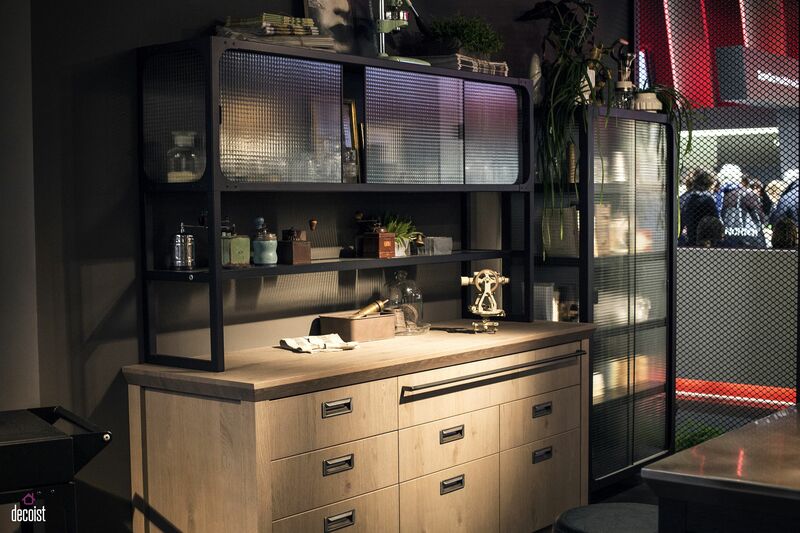 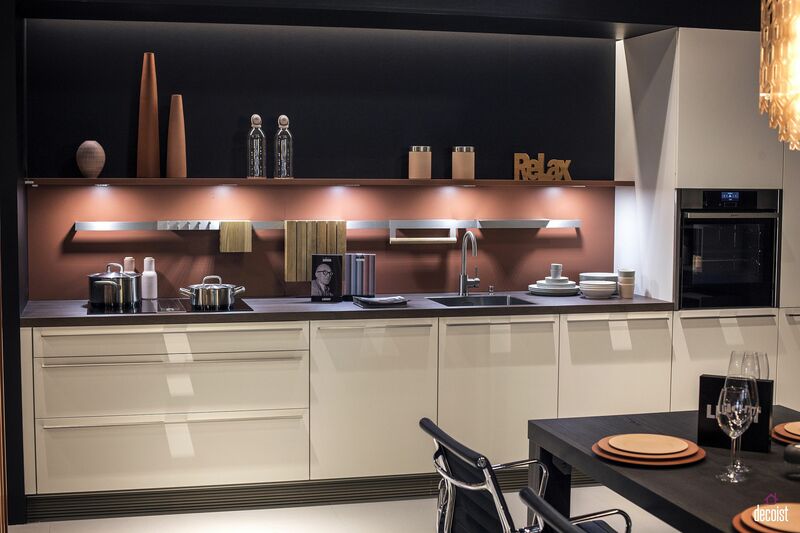 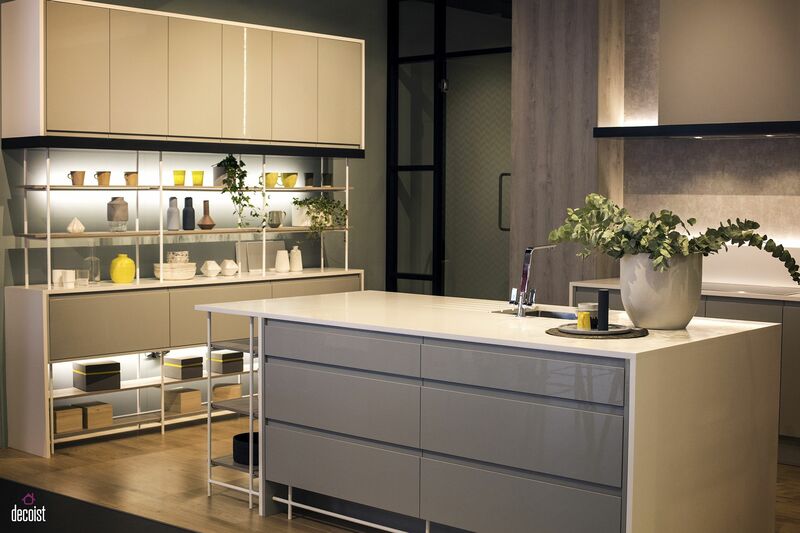 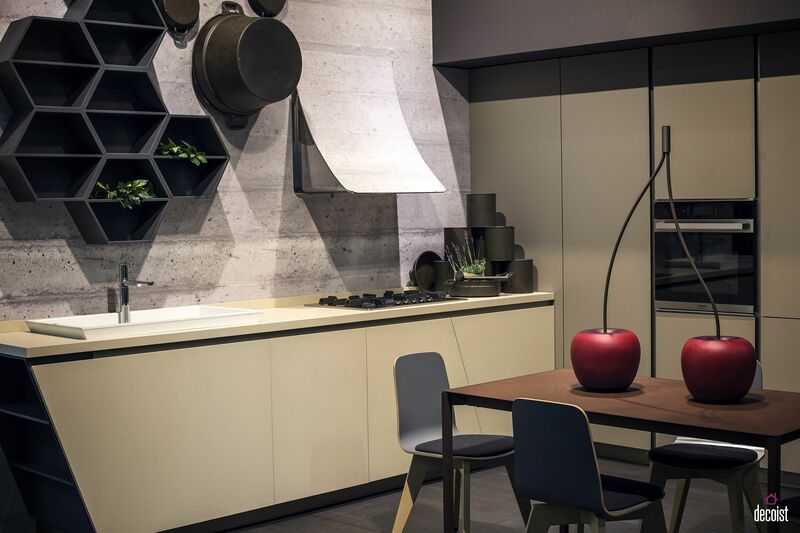 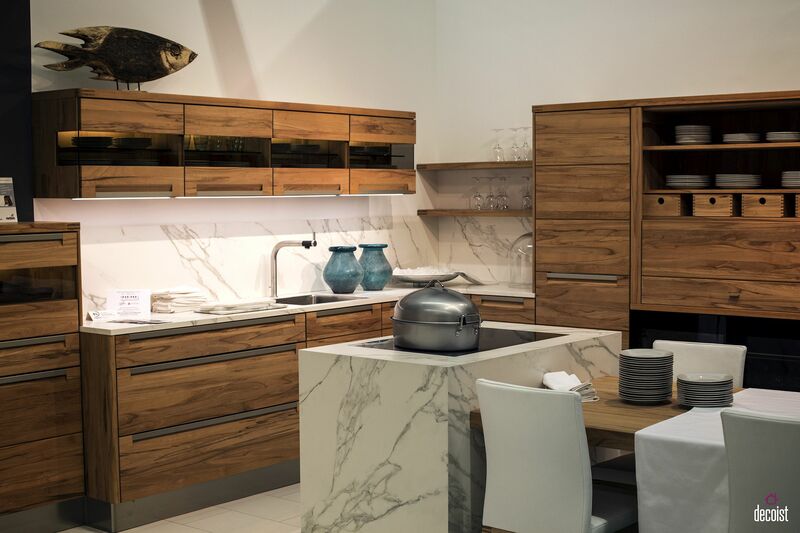 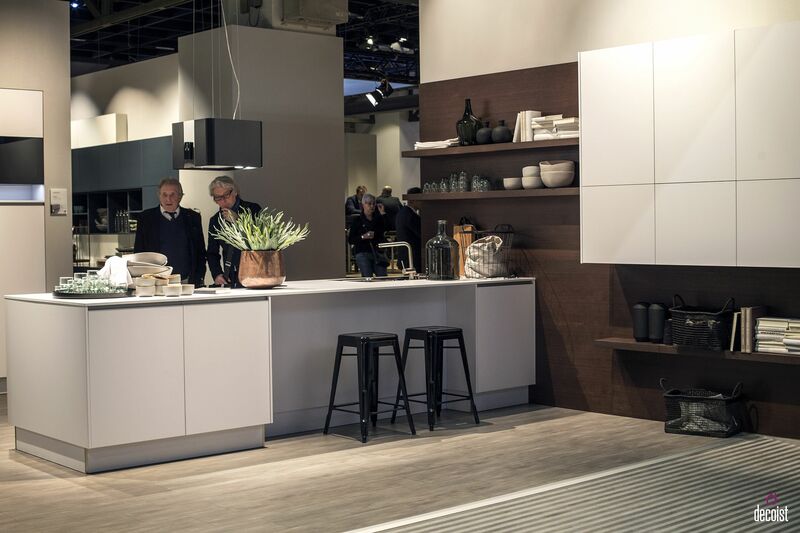 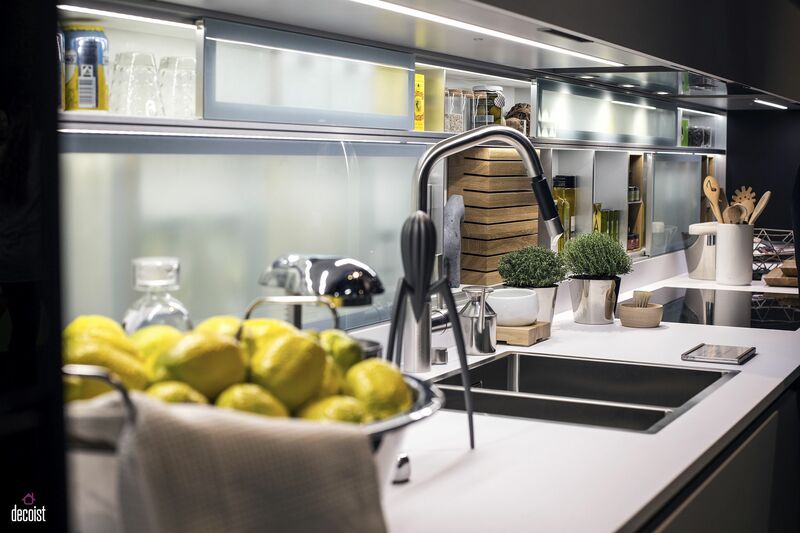 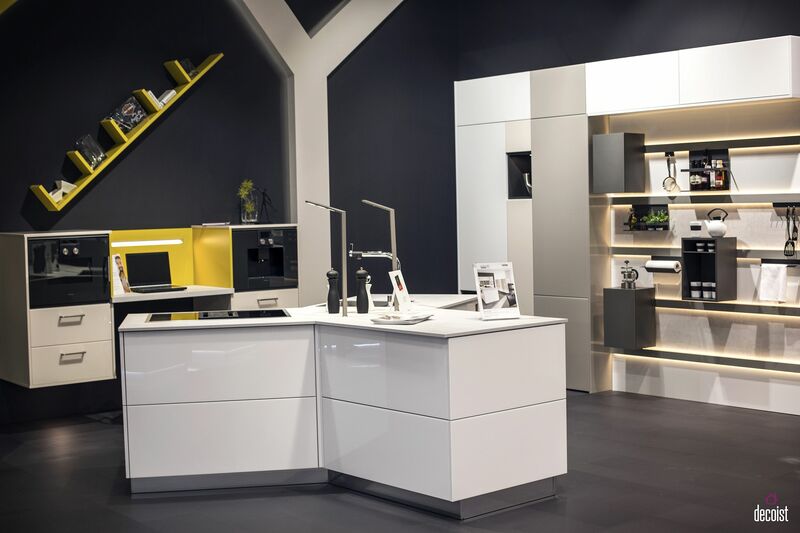 Fabulous open shelves from the likes of Leicht and Scavolini fully utilize the vertical space on offer as they grace the walls of your kitchen! 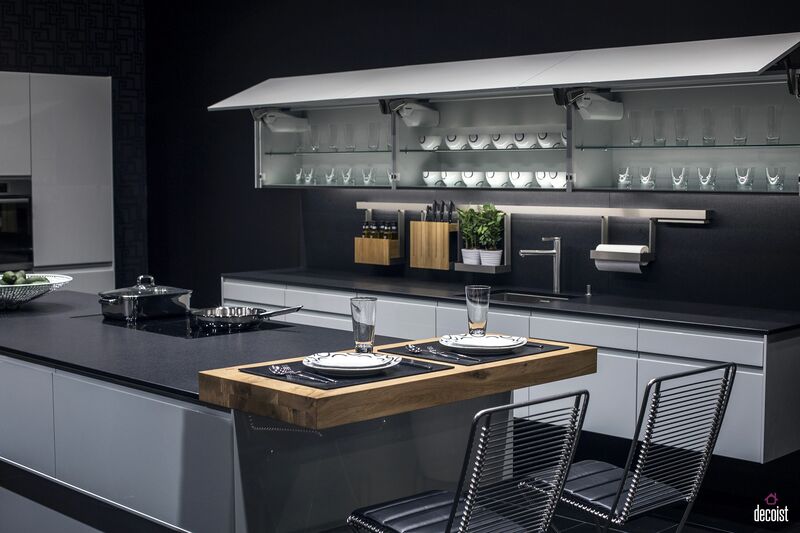 From the small corner that is forgotten to the little nook above the prep zone; these open shelves fit in pretty much anywhere and everywhere. 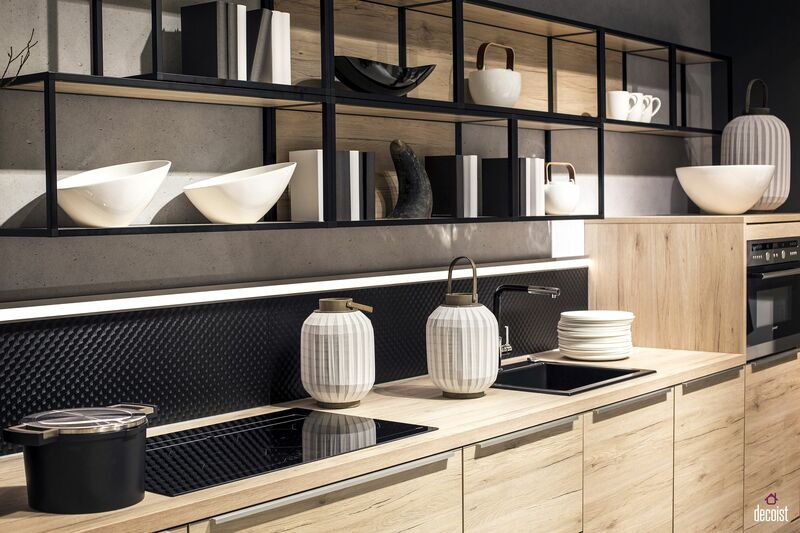 Open shelves and small kitchens go hand in hand. 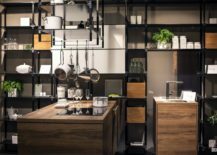 It is in those small studio apartments and tiny kitchens where every inch matters that open shelves make the biggest impact. 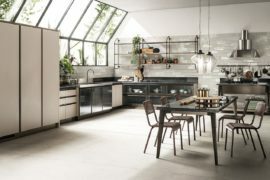 They not only offer priceless additional shelf space, but also ensure that the small kitchen remains cheerful, breezy and visually open – something that you simply cannot achieve with closed cabinets. 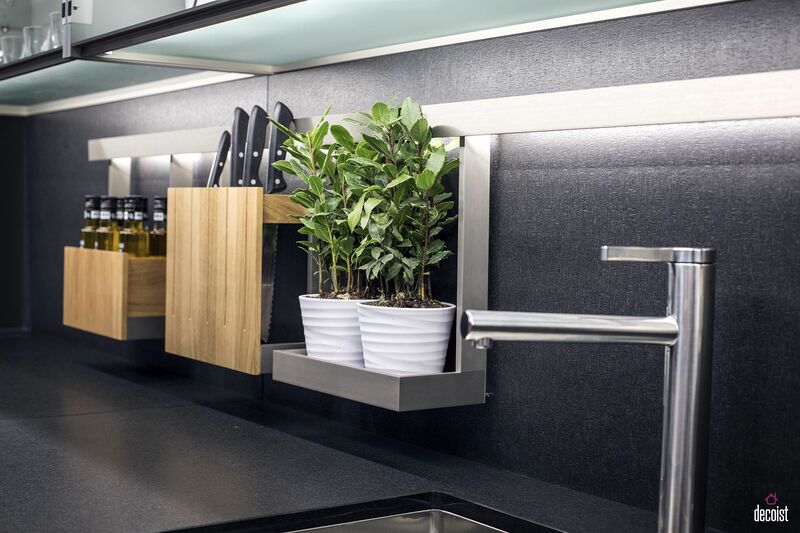 Use the space above the kitchen counter to cultivate your own herb garden! 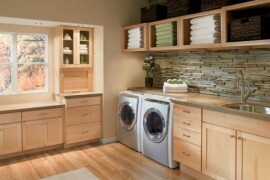 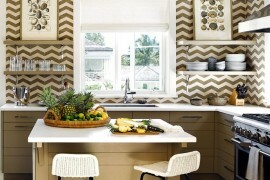 Trying to find the balance between an attractive and an organized kitchen? 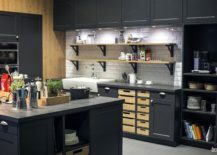 One of the easiest and bet ways to get this done is by bringing together open shelving and closed, wall-mounted cabinets. 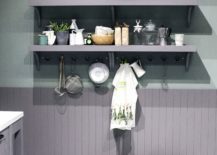 This allows you to tuck away all those extra pots and pans with ease, hide away any mess and keep the kitchen organized and neat even as the few open shelves display your best silverware and chine ever so proudly. 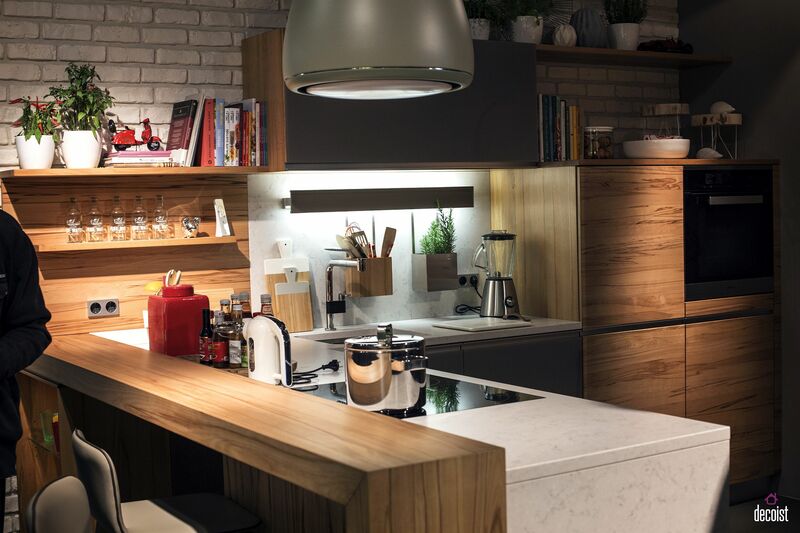 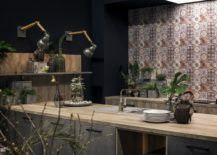 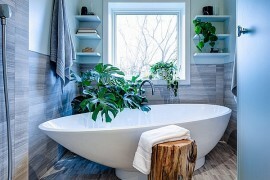 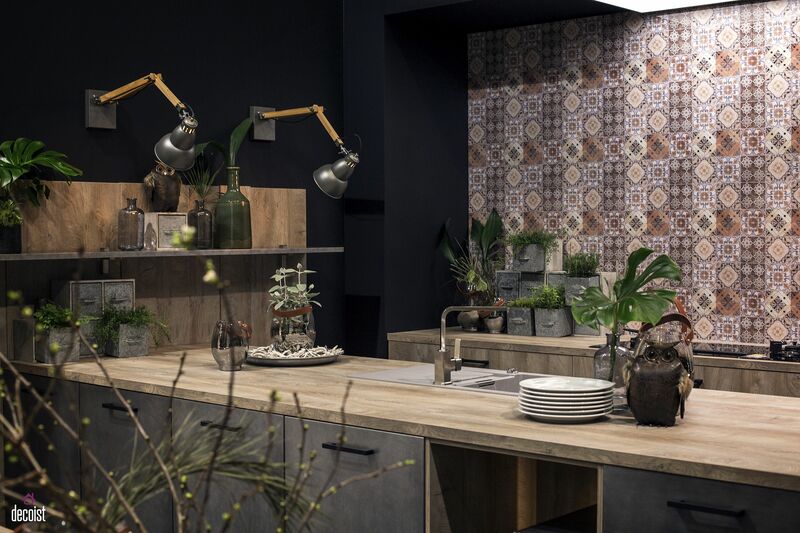 The last few seasons have seen designers take a turn towards the use of more natural materials and wooden floating shelves coupled with woodsy cabinets can give your modern kitchen this warm, texture-filled upgrade. 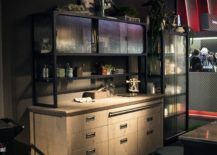 And if you are still squeamish about open shelving, then start off with cabinets that feature translucent glass doors before you take the big plunge. 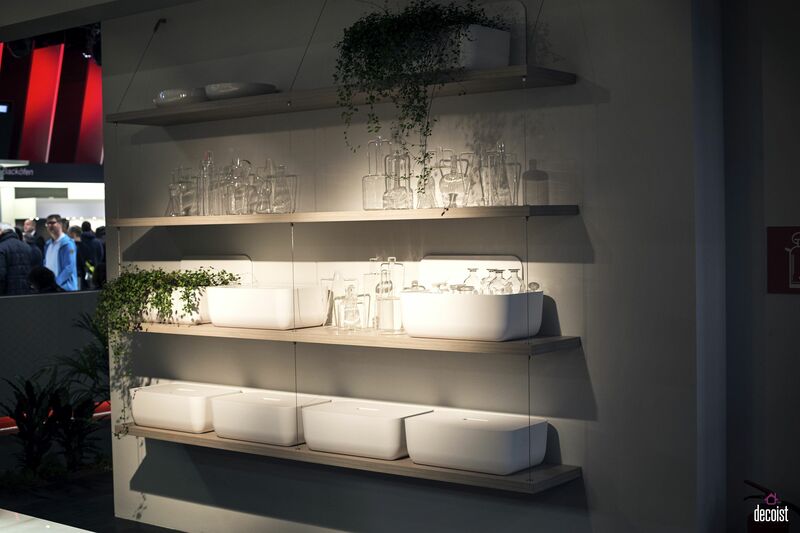 Open cabinet is the perfect place to proudly display your nice china! 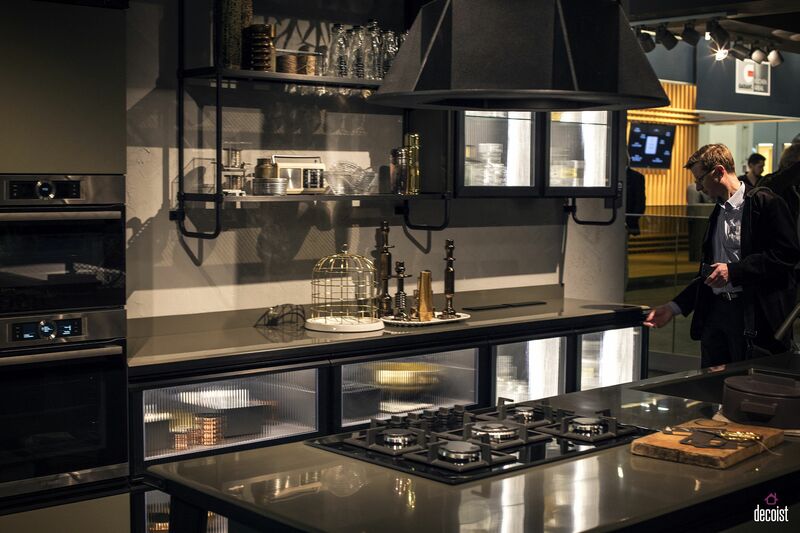 A hot trend in kitchen design, industrial style open shelves are both easy to incorporate and plenty of fun. 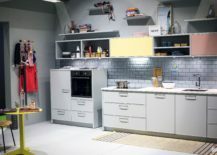 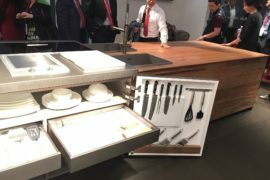 The best part of it is that you really do not need an industrial kitchen to add one of these to your kitchen. 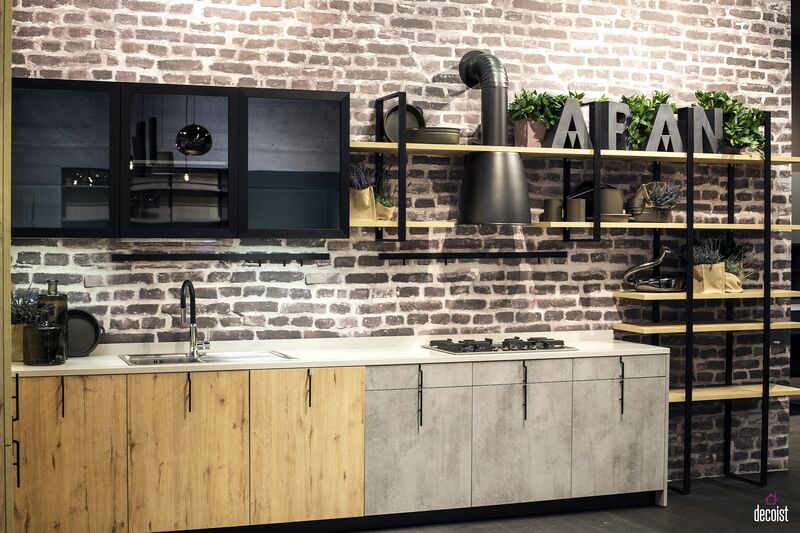 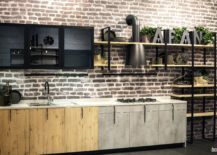 Industrial-styled shelving looks equally good in modern kitchens and their inherent simplicity and minimalism make sure they fit in with even the most polished kitchens. 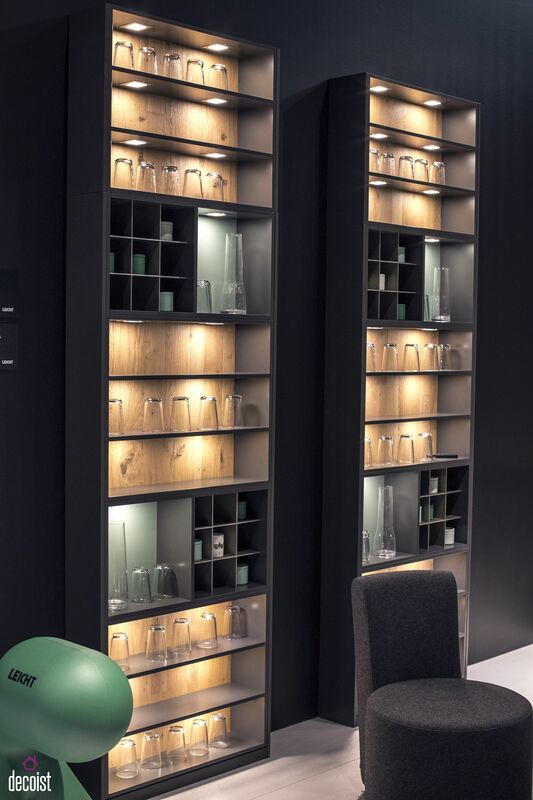 The dark, metallic frame coupled with wooden boards of these shelves also adds textural and visual contrast to an otherwise seemingly monotonous setting.